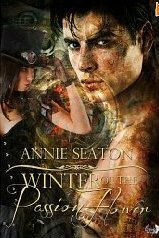 This was one heck of a book, it was time travel meets romance meets science meets action ! Indigo de Vargas is determined to exhibit her products at the Great Exhibition in Crystal Palace,but she does not count on evil and mean evil of the worst kind,stopping her in her path.She also does not count on coming across the reformed Cornish Pirate that could be her savior. I love reformed characters and boy oh boy did the author give us one very delicious one . I loved how the author gave really incredibly vivid descriptions of the scenes ,the clothing the setting and the characters I mean she really did not leave me trying to come up with the image in my head which I totally loved !